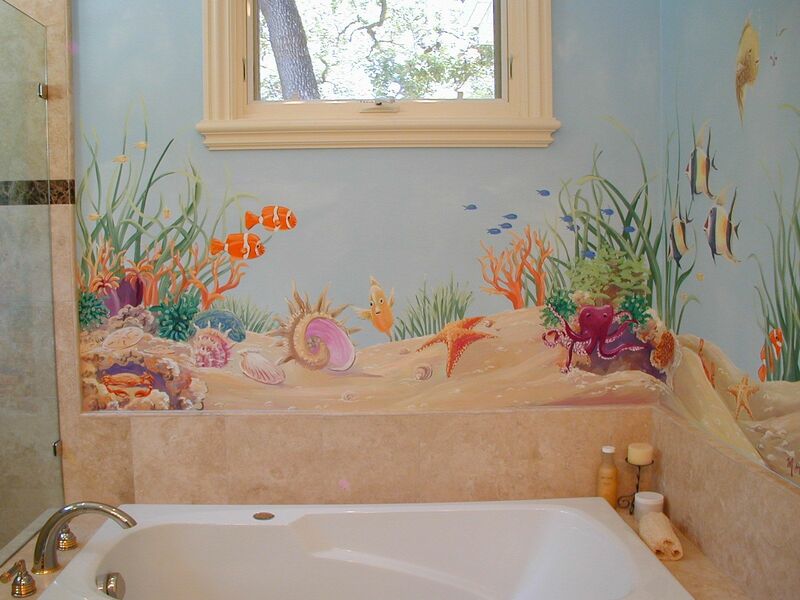 These underwater elements were added over walls that were painted with a blue color washed effect. 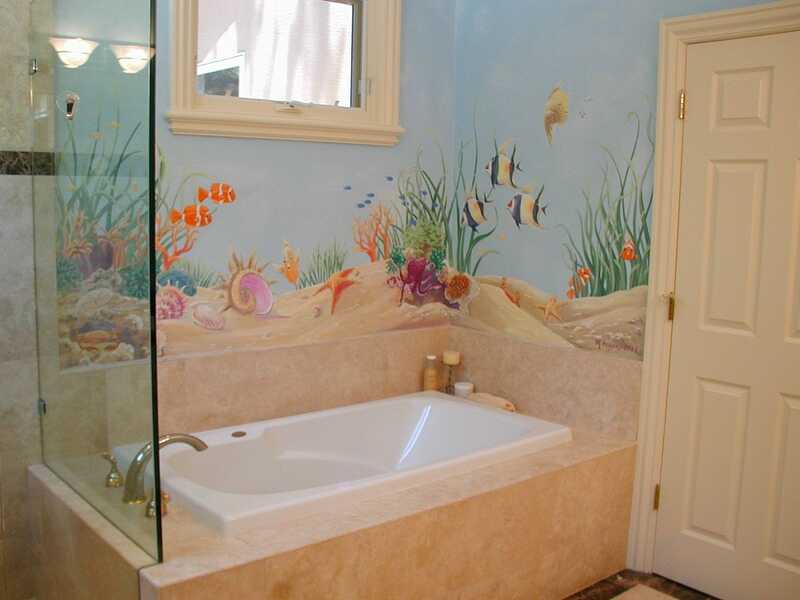 The bathroom was transformed from beige and sophisticated to fun and lively. 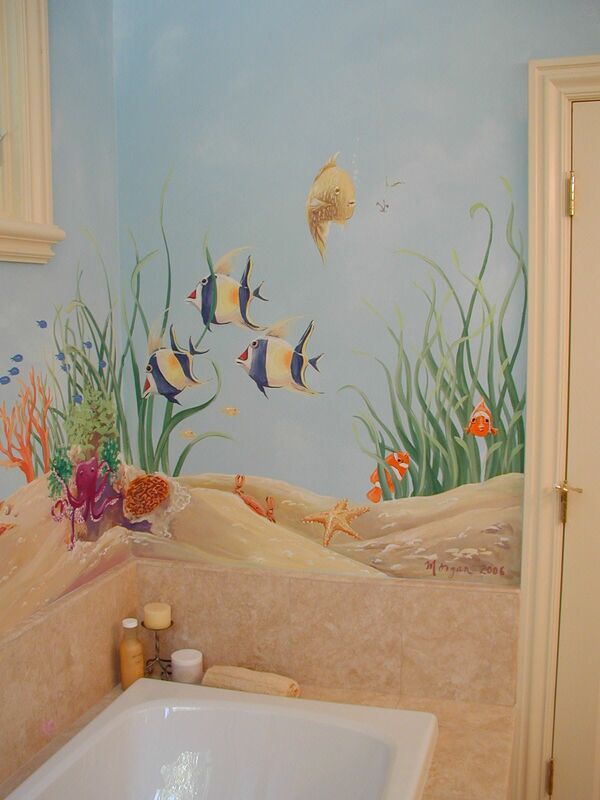 A more appropriate décor for the client’s young daughter.